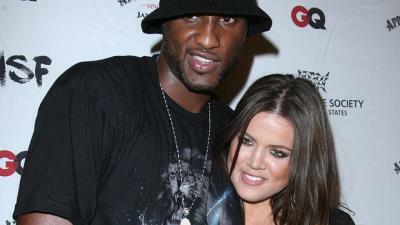 Being married to a member of the Calabasas witches coven, Lamar Odom's predicament is not surprising. Being an Illuminati Puppet means literally you have made a deal with the Devil. The Devil does not have the best reputation of honesty and truthfulness (remember he INVENTED the lie) so it may not be wise to do business with a snake oil salesmen - pun intended. The name Kardashian has become synonymous with the Illuminati as they embody everything a puppet is and should be. Therefore it is commonplace and almost expected to see death and tragedy follow them - and it has. When you are asked to become an Illuminati Puppet there are things that are expected of you.. Sacrifice is one of many. As if sacrificing someone you know or love is not enough, you don't even know if you are someone else's sacrifice! Indeed Lamar knows all about the vile Illuminati world. In the video below he threatens to tell everything if they don't stop giving him bad press. What is Lamar talking about? Expose what? We have some idea.